Vulnerability. It's a quality that is intangible and yet become so important in these final weeks of competition on So You Think You Can Dance. At this point, several (if not all) of the top four are on equal footing when it comes to dance ability, so whether the audience is able to view the dancers as "vulnerable" or not can win or lose the season for these contestants. Often, a far superior dancer will go home because of this perceived lack of vulnerability, which is what I guess happened here and why we have landed ourselves with this top 4. They certainly aren't the best dancers of the season, but they are perhaps the most vulnerable? Who knows? Who can argue with that? In this episode, Vanessa Hudgens says, "being vulnerable is the connective tissue of your soul." Do you know what that means? Because I don't. This is probably why I don't have what it takes to be a contestant on this show. That's probably the only reason. Right? Anyhow. On to the performances. So You Think You Can Dance: Who's Going to the Finale? It’s already time for the finale next week, guys. My head is spinning. How did this happen so quickly? Who even are these people? Why does it feel like the auditions were twice as long as the live show? Can FOX stop the madness? Even Nigel pleaded with FOX this week to bring back the Top 20, so what do we have to do to make that happen? Like, if we’re gonna do this show. Let’s do it RIGHT, right? Anyhow, here’s how everything went down. And the number of dancers continues to dwindle ever so quickly before we even have a sense of what these dancers can do. How is the American public supposed to feel inclined to pick up the phone and vote for people they barely know? This is why starting with 20 is so important. Or one of the many reasons. In my frustration, I searched the Internet for some sort of justification for WHY they've cut the beginning number of dancers in half, and this article on Dance Network was the best argument I could find. But I still disagree. Yes, keeping the numbers down to 10 rather than 20 means we're getting much more skilled dancers right off the bat. But the show has never been about finding America's BEST dancer. The wording of the show clearly says America's FAVORITE dancer. Part of what makes someone a "favorite" is the journey, rather than the end result. We want to see dancers falter and get better after receiving feedback. We want to root for the underdog and watch them grow and get better. Cutting the show down to a Top 10 doesn't give space for growth. And the show happens so quickly now that the dancers that are on the show are simply proving how good they are now, rather than getting an opportunity to become even better. But on with the show, I guess. Sigh. It’s the second week of the live show, and I’m still unsure of what’s going on with this new format, not gonna lie. So we got rid of two people this week, and at this rate, how many live shows will we have? Like, two more? Are we almost to the finals? I miss the good old days of the Top 20. I know there are probably financial and logistical reasons for this shift, but I would give up, like, ALL of the audition episodes if we could just get more of these live shows. I just don’t get it. Anyhow, on with the show. Obviously, there will be spoilers about who left the show after the cut. 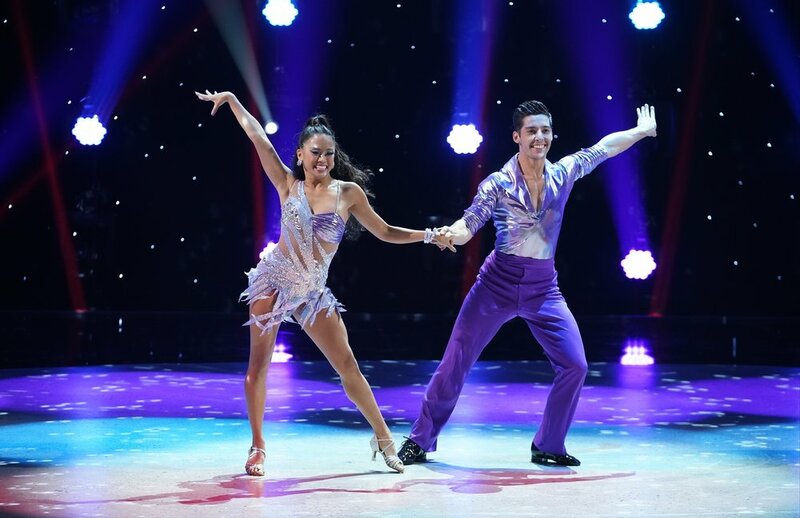 So You Think You Can Dance: Meet the Top 10 Dancers, America! The live shows are here! We’re finally through the extremely long process of auditions that lasts as many weeks as the live shows themselves for some reason. So here I am, attempting to recap this show for the first time. There is so much I love about this show, which is why I enthusiastically watch it every summer. I love how unlike most reality television, SYTYCD seems like a genuinely supportive environment. Sure, there is some emphasis on character storylines because that’s how you get people to pick up the phone and vote for their favorite dancers; however, the main focus of the show isn’t about creating manufactured drama. It’s about dancing and genuinely fostering an environment where these talented people can push themselves to become even better. The judging, for all of its faults (which I will get into a lot this season, probably), is constructive. These judges really want to see these dancers improve and grow from this experience. What’s more, it seems like a good majority of the people who get on this show go on to have successful careers in dance following this process. That’s a lot more than I can say for many other reality TV shows (-cough- ANTM -cough-).